He was sick of the excuses and lies. He was tired of the evasions and the untruths, of people refusing to stand up and speak the truth and take responsibility for their own actions. It seemed to him like yet another symptom of the decline of Western civilization; of chaos; and climate change; and environmental disaster; and war; disease; famine; oppression; the eternal slow slide down and down and down. It was entropy, nemesis, apotheosis, imminent apocalypse and sheer bad manners all rolled into one. People were not returning their library books on time. Library users were exactly the same as everyone else, it seemed, and this came as a terrible shock to Israel. He had always believed that reading was good for you, that the more books you read somehow the better you were, the closer to some ideal of human perfection you came, yet if anything his own experience at the library suggested the exact opposite: that reading didn’t make you a better person, that it just made you short-sighted, and even less likely than your fellow man or woman to be able to hold a conversation about anything that did not centre around you and your ailments and the state of the weather. He’d never read a lot of crime fiction before; it was the covers, mostly, that put him off. He was very anti-embossing. I’m anti-embossing, too! 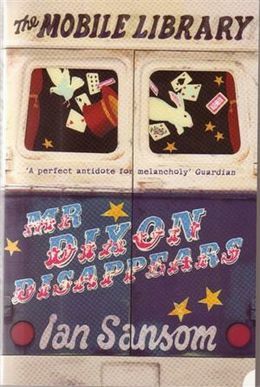 Mr. Dixon Disappears has no embossing on its cover, and on its insides, it’s a fairly meandering sort of a mystery; it’s wry and clever about books and bookish enthusiasm gone wrong. The mystery plot never really grabbed me, however, so it’s not a book to come to if you want a good mystery with which to wrestle. I read the first in Sansom’s new series of County Guides Mysteries last week, The Norfolk Mystery, and it felt a bit flat. There was a lot of setting up of the series to come, I think, so I’m glad that I started with the second in the Mobile Library series. I will go back for more non-embossed helpings. Each floor is named for a number of the Dewey Decimal system, and the rooms are decorated, and furnished with books, from the category. With the Guilty Pleasures package, you can even have their in-house librarian supply you with books by the foot in the subject of your choice! Alas, no room at the inn. New Haven: Yale University Press, 2011. This book was all over the pages of literary periodicals before the holidays. The book is a great idea for a gift book for a bibliophile, and there are some lovely passages from the interviews with the writers whose bookshelves are profiled in this book. Sadly, though, this book was a disappointment. A good third of the photographs were out of focus. Not artfully out of focus. Just out of focus. Not acceptable for a coffee table book. The interviews were also largely identical. The same questions were asked of all of the writers, by email I’m guessing, and while there were one or two personalized questions, the interviews began to feel far too similar. It’s interesting to compare answers to the same questions, yes, but there also has to be individuality, some loving attention to detailed probing. I’m glad I spent an hour or two with the book, but it’s not one I’d recommend you rush out to get your hands on. A new report released Monday by education advocacy group People for Education finds that while literacy and standardized test scores have climbed over the past decade, the number of students who report that they like to read has dropped, from 76 per cent of Grade 3 students in 1999 to 50 per cent in 2011.
reading at home may have come to feel like an extension of schoolwork for some students, who aren’t being taught to read for pleasure. Teachers may be to blame for not picking out engaging books for students, and parents can also help by reading at home with their children. The report also points to other factors, including declining numbers of teacher librarians in schools – only 56 per cent of Ontario schools have a teacher librarian now, compared to 76 per cent in 1999 – and the rise of new distractive technologies, including social media. If I squint, I can see why the first two might be to blame, but I don’t really see how in the span of 12 years, the school system can have managed to turn reading into unpleasant work or that teachers are somehow now less likely to recommend good books. No, my guess is that it’s the cuts to librarians that’s to blame. They are considered a frill, non-essential. I know it’s not sound math, but there must be a correlation between a 20% drop in teacher librarians over the same time span as the 26% drop in students who report that they like reading. I don’t have to squint to see a link there. It is a librarian’s job to be enthusiastic about books, to connect a child and the book he or she is meant to meet. It’s not just about putting a warm body in the room so that an adult can scan the barcode. Librarians know their shelves, they know their students and they know how to match one to the other. 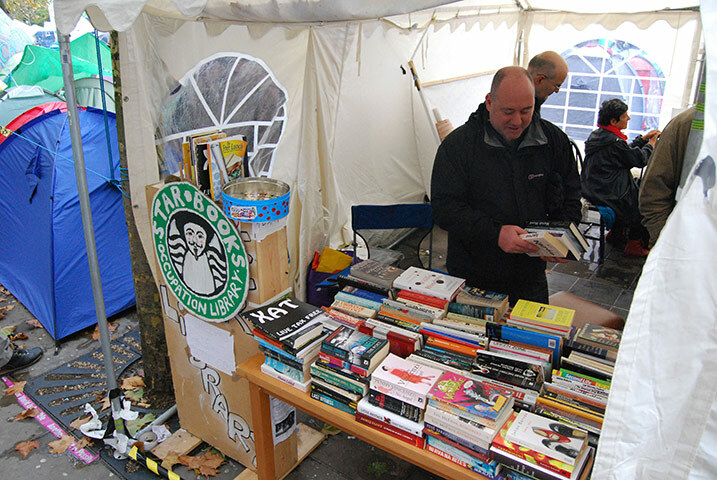 Without that professional enthusiasm, of course there will be a drop in the number of students finding the books that spark, kindle and keep alive a love of reading. It wasn’t until reading this article that I realized that along with head chef and bottle washer, one of my jobs as mother has been librarian. I read a lot about children’s books. I read children’s librarians’ websites and periodicals, I keep up with new publications, and I absolutely adore reading about other readers’ favourite childhood classics. I am discovering many of them for the first time myself, and my enthusiasm for the job is boundless. 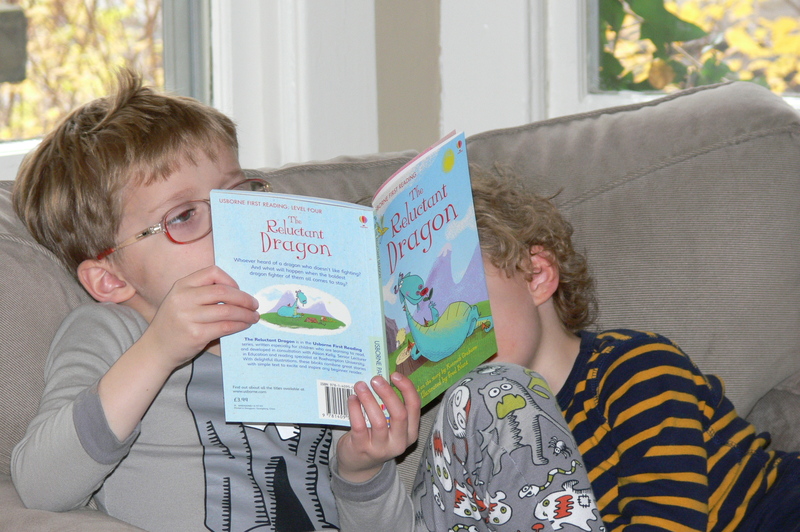 I have, in effect, professionalized my own love of reading as I cultivate it in my children. Feel free to share, but give your kid plenty of room and privacy. The current vogue for book clubs might lead one to think that the primary goal of reading is to have something to talk about with your friends. While books do provide a durable kind of social glue, you might find that your child is not especially interested in sticking to you. He or she will probably be more interested in the pursuit or discovery of like-minded souls, both within the pages of books and in like-minded fellows who see the brilliance, for example, of Neil Gaiman or Terry Pratchett or Francesca Lia Block. Should your child invite you in, by all means accept, but don’t make the first move. Let your kid lead. Books require–and provide–privacy and independence. My concern is, when they throw off my guidance in the natural move to reading independence, I want someone to be there to keep my boys’ love of reading alive by continuing to find them books that keep them up for “Please, just one more page.” If schools keep cutting library staff, that someone will be harder to find. Thank you, Amy Lavender Harris. I like to think that I’m no bookworm, egghead, four-eyed paleface library rat. I often engage in activities that have no reference to the printed words. I realize that books are not the entire world, even if they sometimes seem to contain it. But I need the stupid things.